Step 1: Rip off smaller pieces of tissue paper. 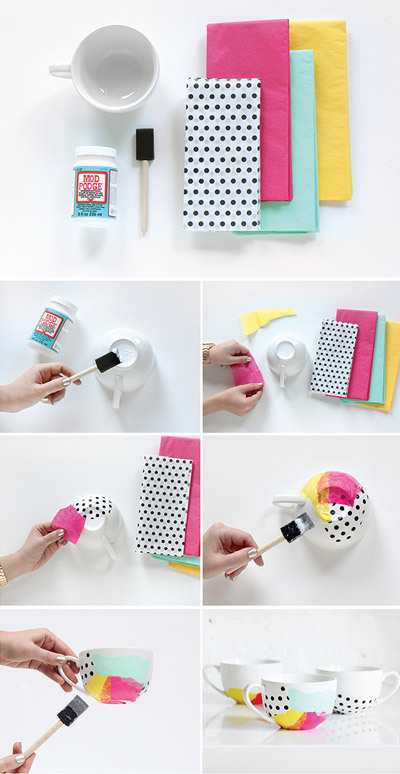 Step 2: Spread ModPodge on mug. Step 3: Place tissue paper pieces, the paint over each layer with ModPodge. Step 4: Paint a final layer of ModPodge over the top . Let dry. Step 5: Make sure ModPodge is at least an 2 1/2 cm below the the area you will sip.